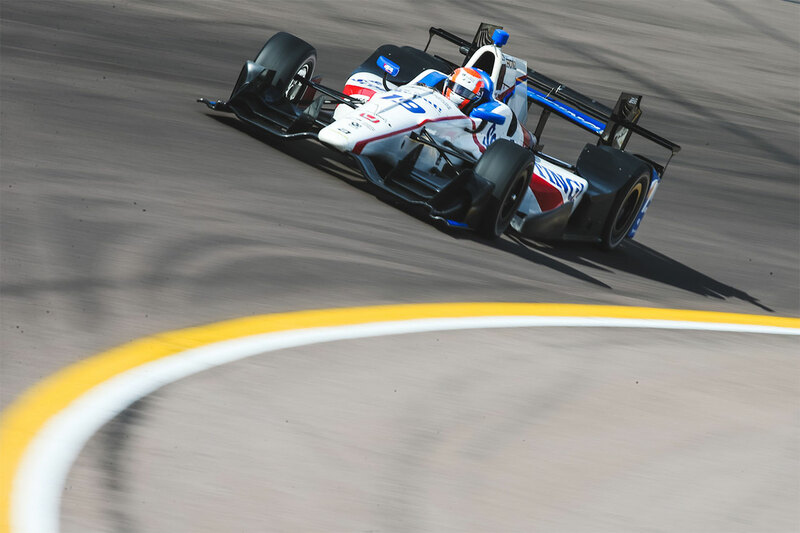 Ed Jones has served signal of his intent in the build-up to his maiden Verizon IndyCar Series campaign in 2017, by outpacing some of the championship’s biggest-hitters during the first official pre-season test at Phoenix Raceway. The reigning Indy Lights Champion will graduate to the fiercely-disputed pinnacle of the Mazda Road to Indy ladder this year with Dale Coyne Racing (DCR). 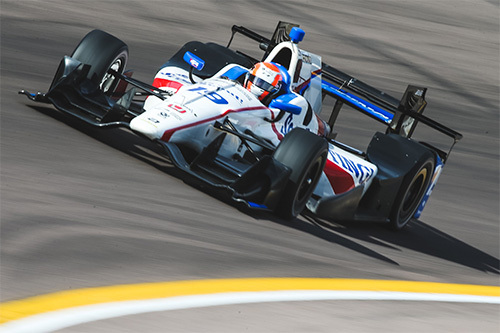 As part of his preparation, he travelled to the historic 1.022-mile Arizona oval for three days of running behind the wheel of his Honda-powered single-seater, whose twin-turbocharged engine produces some 270bhp more than he had to play with in 2016. As the series’ only full-time rookie, the first of those days saw Jones enjoy almost exclusive use of the track, before he was joined by 20 high-calibre rivals for four sessions of daytime and evening action. 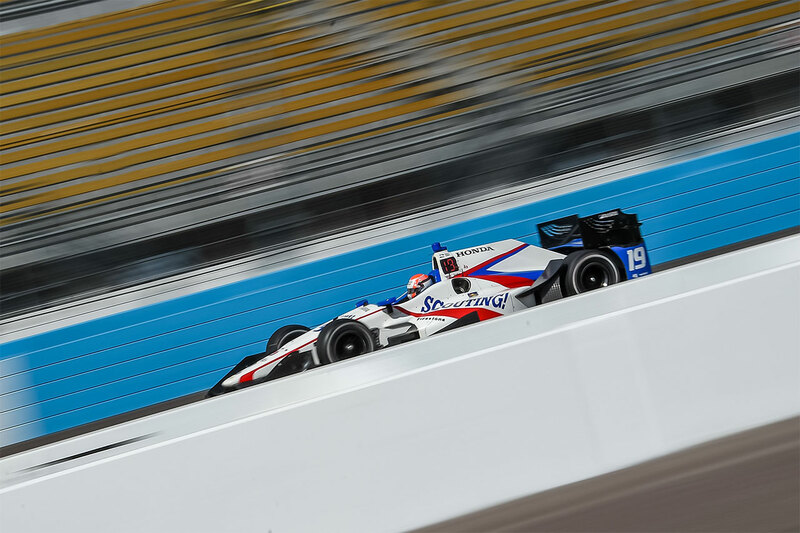 The latter in particular was significant, given that the Phoenix Grand Prix on 29 April – the fourth of 17 outings on the 2017 IndyCar schedule – will take place under the floodlights. 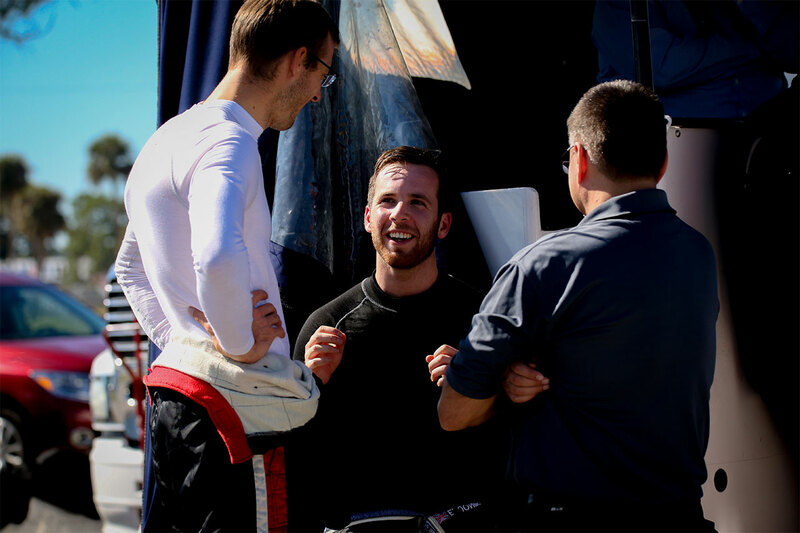 Working closely with his race-winning engineer Michael Cannon, the talented Dubai, UAE-based ace completed just shy of 300 laps in total, sagely steering clear of trouble as a number of his adversaries came into contact with the unforgiving circuit walls. More notably, Jones wrapped up the opening session in ninth position on the timesheets, a hair’s breadth behind DCR team-mate Sébastien Bourdais – one of the most successful drivers in US open-wheel history – and ahead of the likes of defending title-holder Simon Pagenaud, fellow IndyCar heavyweights Ryan Hunter-Reay and Scott Dixon and multiple Indianapolis 500 winner Helio Castroneves. The former European F3 Open Champion continued to lap competitively throughout the test, and with the curtain-raising Grand Prix of St. Petersburg now less than a month away on 12 March, he is quietly confident of making his mark when the season gets underway in earnest. “It was a very positive and productive test, and I think we offered a glimpse of our potential,” reflected Jones, who recently celebrated his 22nd birthday. 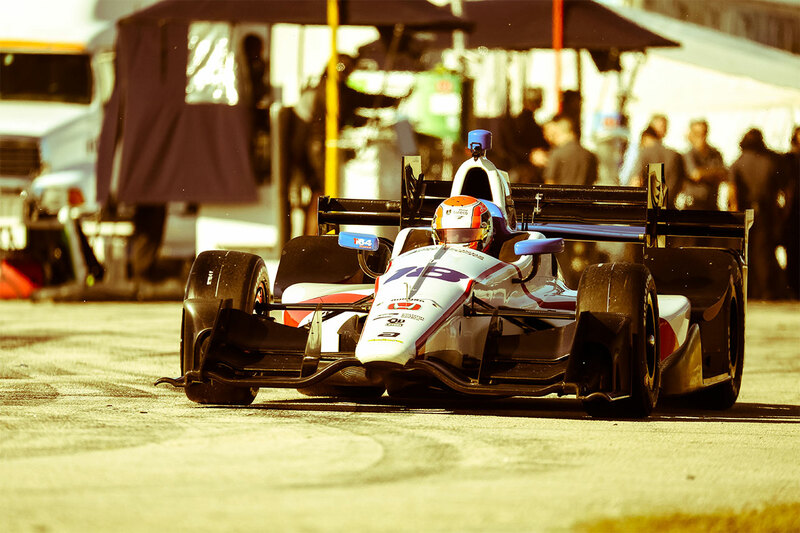 “The Rookie Day was really useful, as it gave me the opportunity to get to grips with the IndyCar on an oval for the first time and get up-to-speed before everybody else joined the track. 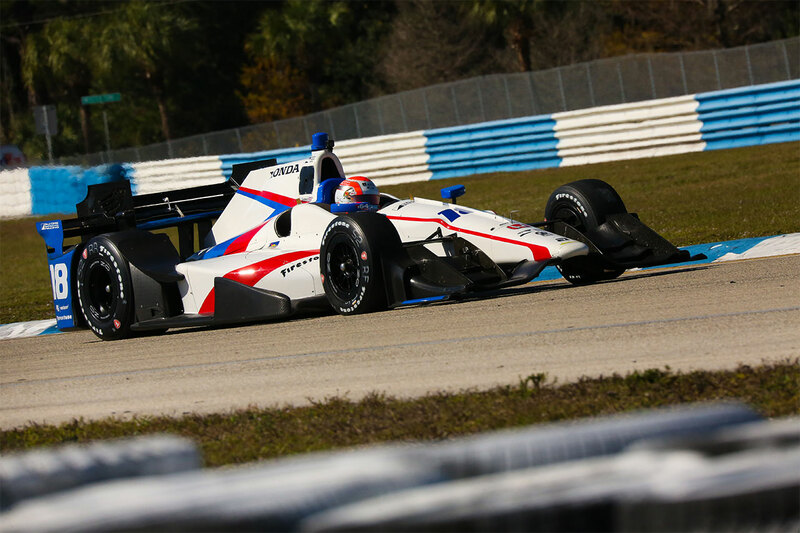 “We covered a lot of laps, and that hard work paid off with the ninth-fastest time the next afternoon. I was actually up in P2 for much of the session and whilst it’s impossible to read anything into it at this stage because you don’t know what programmes or strategies different teams are running, it was very cool – and, I must admit, a little surreal – to see my name on the timing screens ahead of people like Pagenaud, Hunter-Reay, Dixon and Castroneves. “After that, we switched our set-up to high-downforce race trim with a full fuel load for long-distance simulations, which meant we were never going to be turning the quickest laps in the field. The focus for me was on getting used to the traffic and following other cars in the dirty air, as well as pit-stop practice, which is not something I’ve had to deal with before. “I’m feeling really comfortable in the team and increasingly at home inside the car; I’m getting on very well with all the DCR guys and Seb has always been happy to share the benefit of his experience. 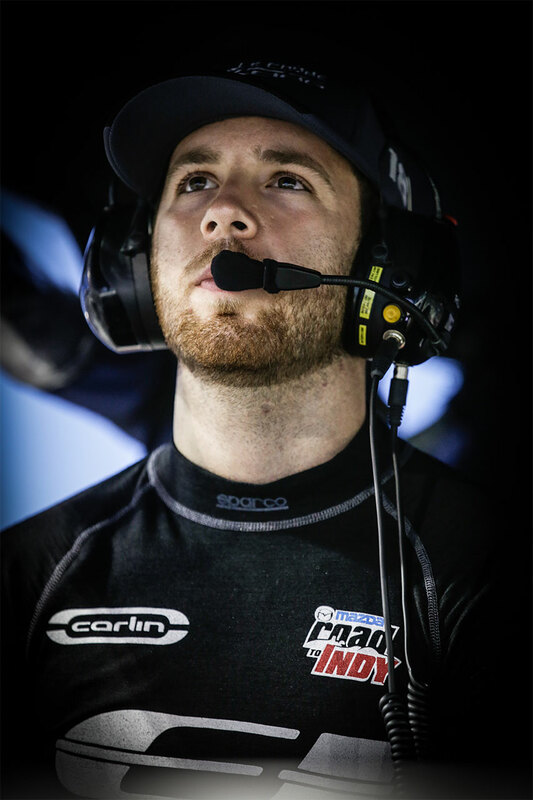 He is one of the most versatile drivers in the world; aside from his four Champ Car titles, he has competed successfully in a variety of disciplines from Formula 1 to Le Mans, so he has a wealth of knowledge and expertise that I can draw upon and he has been very open with me. 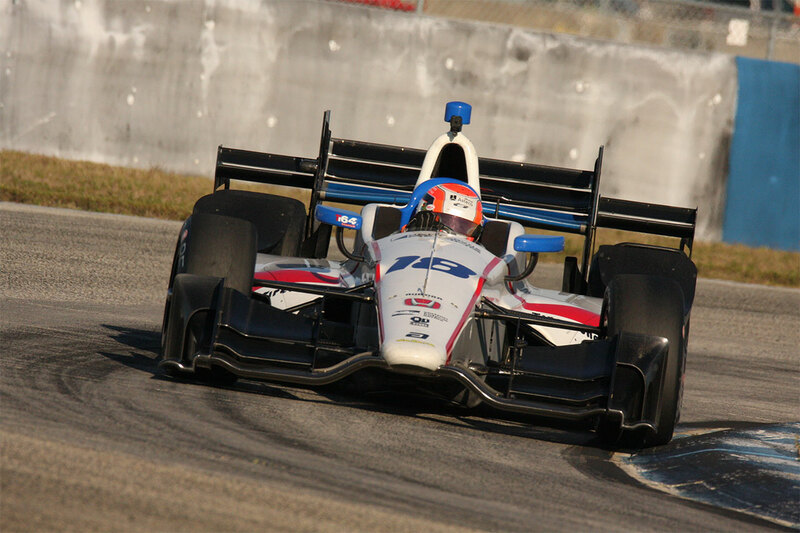 All of that has served to smooth my transition from Indy Lights to IndyCar, and I feel in a good place right now. “Ultimately, I’ll only have had a handful of days in the car before the first race weekend and whilst you always want more, that’s the way it is and we have prepared as well as we can in the time we have had. I clearly still have some catching up to do, but the key will be to make sure we maximise our final test at Sebring at the end of this month and step it up another level.